You are here: Home / Why Do Dogs / Why Do Dogs Snore? Does your dog sleep in bed with you? If so you’ve probably caught them snoring once or twice. Laika doesn’t snore often, but she does have a habit of howling in her sleep which is why she sleeps on the couch (that’s a post for another day…). 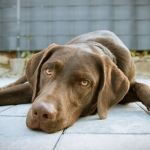 While snoring in dogs can be normal, it can also be a symptom of an underlying health issue. If your dog has suddenly started snoring, or if you’re not sure why your dog is snoring it’s a good idea to have them checked out by your vet. 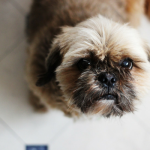 When it comes to understanding why dogs snore it’s important to first take a look at what causes snoring to begin with. Snoring itself happens when air gets restricted as it tries to pass through the throat or nasal cavity. The sound we know as snoring is caused by vibrations of the upper airway, typically during inhalation. In humans snoring is often caused by obstructive sleep apnea, but that’s a rare diagnosis in dogs. 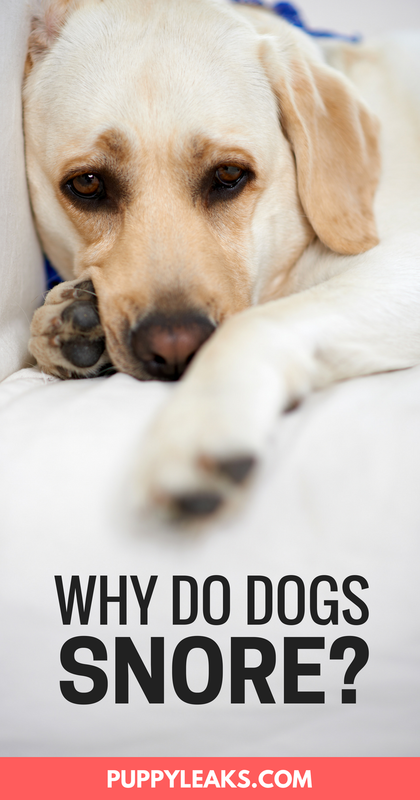 So why do dogs snore? Snoring itself isn’t an illness, it’s a symptom. And it can be caused by anything from extra weight to your dog’s anatomy, so it’s important to have your dog checked out if they’re snoring more than usual. Here’s a list of the common causes of snoring in dogs. Does your dog sleep on his back? If so he’s more likely to snore. Approximately 5-10% of dogs sleep with their bellies up, and it’s a position that’s associated with snoring in dogs & humans alike. When dogs lie on their back to sleep the base of their tongue can fall back into their throat, blocking air from getting into their passageways. Any amount of restricted airflow can cause snoring in dogs, and some breeds are more susceptible than others. Brachycephalic breeds (dogs with short noses) such as Pugs, Bulldogs & Boston Terriers are more prone to snoring than other dogs due to their short air passage. Their upper respiratory anatomy is abnormally short, which can frequently lead to airway obstructions. Being overweight is one of the common causes for snoring in humans, and it’s true for dogs as well. Extra weight leads to extra tissue, and any extra tissue around the nose and throat can narrow their airway, leading to restricted air flow and snoring. 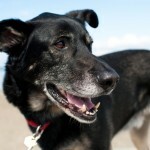 Tip: If your dog needs to lose weight check out 5 daily habits that help keep your dog fit. Dogs that have allergies may be more prone to snoring due to airway restriction and congestion. If you have allergies you know how bad congestion can get, and how breathing through your nose itself can become difficult. Allergens can cause mucus buildup and airway restriction, both of which increase the likelihood of snoring. Just like with humans, secondhand smoke can cause respiratory issues and snoring in dogs by irritating the lungs and airways. 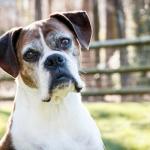 Secondhand smoke can damage your dog’s respiratory system, leading to bronchitis, asthma and snoring. 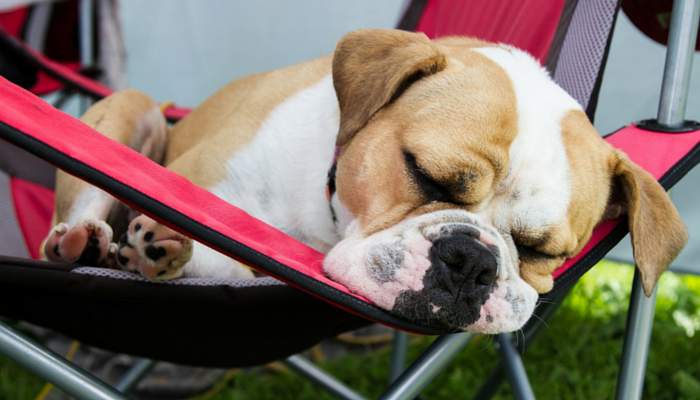 Dental issues, infections, and growths can all cause your dog to snore, which is why it’s important to have your dog checked out by your vet to determine the cause. Snoring is a symptom, not an illness. If your dog has suddenly started snoring, or if they’re experiencing interrupted sleep have them checked out by your veterinarian to rule out any underlying medical issues. Disclaimer: I am not a veterinarian, this article is for informational purposes only. Why Does My Dog Itch So Much? Why Do Dogs Eat Their Own Vomit? My husband snores. My dog does not. She does, however, give little woofs in her sleep. My pup will softly snore just for a few minutes when he’s extremely tired. It seems once he rests for a short time, the snoring stops. He does like to sleep on his back, however. After reading this, I think maybe his position may also play a role. Thanks for the warning. Really helpful especially for newbies like me.